Uber and Lyft riders could face a new 50-cent surcharge under a proposal by the Philadelphia Parking Authority. The cash-strapped Philadelphia Parking Authority wants to add a 50-cent surcharge to every taxi, Lyft, and Uber ride in the city. In a report Tuesday to the agency's board, PPA executive director Scott Petri said the new fee could raise up to $13.5 million a year, or nearly $10 million more than what it collects on rides now under a different tax structure. About two-thirds would go to the city School District. The rest would offset the climbing costs of regulating the 20,000 more vehicles and drivers that have taken to the streets since Pennsylvania legalized ride-hailing services in November 2016. The fee, which would have to be approved by state lawmakers, would replace an existing 1.4 percent tax assessed on ride-hailing services that agency officials said was ineffective and too cumbersome to actually regulate and collect. Revenue from that tax totaled about $1.8 million in the first half of 2017. 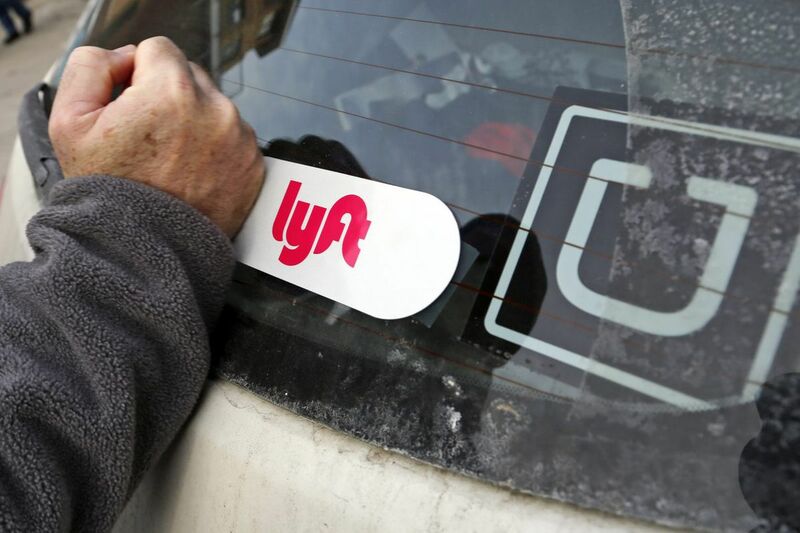 Marty O'Rourke, a spokesman for the PPA, said Petri supports the 50-cent surcharge as a replacement for the existing 1.4 percent tax assessed directly on rides offered through services like Lyft and Uber. Petri discussed the proposal with Republican caucus leaders during a trip to Harrisburg two weeks ago. But it is unclear if Harrisburg will have much of an appetite for revisiting Uber's and Lyft's taxation structure until closer to Dec. 31, 2019, when the current tax expires. Uber spokesman Craig Ewer said in a statement that "it would be imprudent to rush through any major changes including new fees" without undergoing a deliberative process similar to the one that led to the 1.4 percent tax. In a similar statement, Lyft said the company was looking forward to "the continued implementation of the current law." School District officials were also hesitant to react to the plan. "We are still getting an understanding of the proposal," said district spokesman Lee Whack. The 50-cent fee, which Petri predicted would be passed to riders and uniformly assessed on cabs and ride-sharing apps, would alleviate the burden on PPA regulators, whose ranks have been depleted due to staff cuts and now have only eight inspectors responsible for monitoring between 22,000 to 25,000 ride-hailing vehicles across the city. The rising popularity of Uber and Lyft has left a deep dent in one of PPA's main revenue-generating activities: the operation of taxi operating licenses, or medallions. Once highly sought cash cows – one was auctioned by PPA for $110,000 in May 2015 – the medallions have become far less valuable since Uber and Lyft began operating in Philadelphia. A medallion auctioned off in July 2017 drew a bid of only $11,268. Philadelphia would be far from alone among cities to have imposed surcharges on Uber and Lyft rides to support rising municipal costs and sinking revenues. A state task force in New York recently mulled the idea of a $2 to $5 fee per ride to support New York City's struggling public transit system. Chicago lawmakers tacked on a 15-cent surcharge for the city's 2018 budget, the latest of three fees that total a 67-cent charge per ride. One potential hint at the future of Petri's proposal can be found in Portland, Ore., which assessed a 50-cent ride fee in 2016. City officials there publicly said the surcharge didn't adversely impact transportation companies, but Noah Ernst, a spokesman for the Transportation Fairness Alliance, which advocates for cabdrivers in Portland, told the New York Times at least two taxi companies have gone out of business since the tax was first implemented. "It's not an equal playing field at all," he said. "We were trying to tell them this the entire time they were rewriting the code." Staff writer Jason Laughlin contributed to this report.